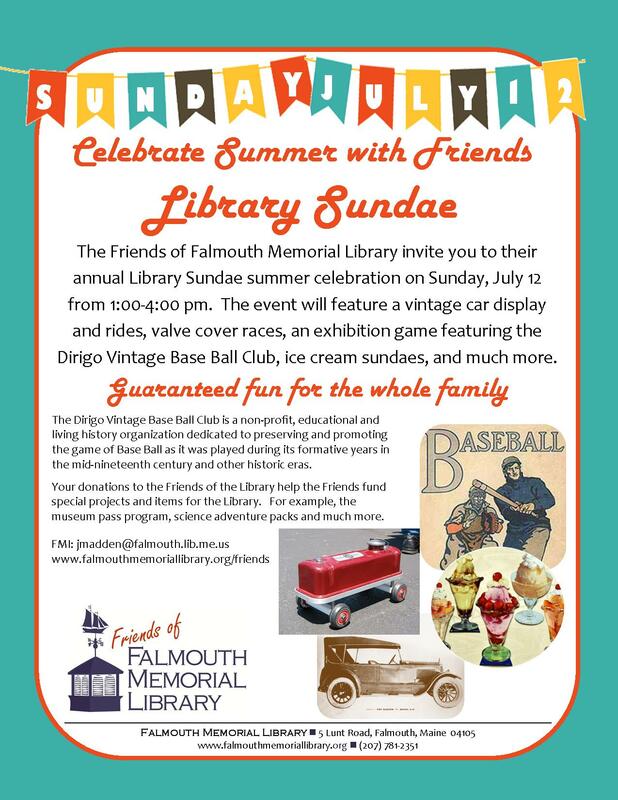 The Friends of Falmouth Memorial Library invite you to their annual Library Sundae summer celebration on Sunday, July 12 from 1-4 pm. The event will feature a vintage car display and rides, valve cover races, an exhibition game sponsored by the Falmouth Historical Society featuring the Dirigo Vintage Base Ball Club, music, ice cream sundaes, and much more. Guaranteed fun for the whole family. View flyer. FMI: jmadden@falmouth.lib.me.us or www.falmouthmemoriallibrary.org/friends.